Most people who would consider themselves nutrition-conscious, and certainly self-respecting foodies, would probably deny that they use or eat monosodium glutamate, or “MSG”. It has a bad reputation as being dangerous, harmful, you name it. · It’s the most plentiful amino acid in our bodies. · Most of the glutamate in our bodies hangs out in our gut. · When chefs and foodies talk about the thing called “umami”, or the “fifth taste” they’re really talking about glutamate. Glutamate is nothing to fear and there is lots to relish about it. It’s naturally found in foods like tomatoes, mushrooms, and parmesan cheese, which makes much of the Italian food we love a virtual glutamate bomb – and it’s all OK.
Read more about glutamate in this article I wrote for the MSGdish and The Glutamate Society. Fortunately, chefs are getting clear about the flavor that a little glutamate adds to foods we love, and using glutamate to bring great flavor to foods in new ways. http://cuttothechasenutrition.com/wp-content/uploads/2016/10/logo10.png 0 0 Keith-Thomas Ayoob http://cuttothechasenutrition.com/wp-content/uploads/2016/10/logo10.png Keith-Thomas Ayoob2016-11-13 19:00:102016-11-13 19:00:10MSG: Could It Mean "Maybe Something Good"? When I was a kid, my family ate dinner together every night – later than was usually promised, because we waited for Dad to get home and he was always later than he said he’d be – but eat together we did. We even ate breakfast together. Nothing major, just a few minutes in the morning to organize schedules and plans and start with a balanced simple meal. 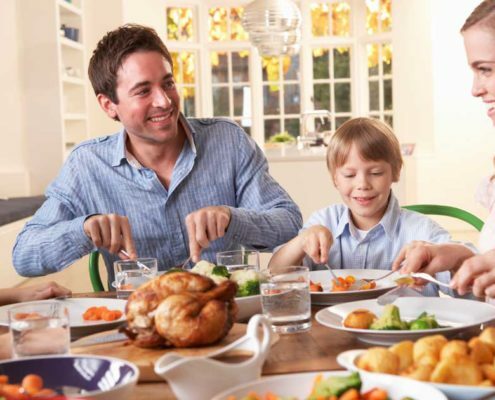 Last month the Food Marketing Institute (FMI), a supermarket trade group, declared September to be National Family Meal Month with the goal of getting families to have one more meal together each week. I fully support this, and there’s some good research that supports it, too. The news on family meals is actually good. At least it’s better than I thought. Just when you heard family meals were a thing of the past, according to a Harris Poll, about 7 in 8 families still have dinner together. As a nutritionist, this matters to me because family meals have been shown for years to be strongly associated with better diets. Research from the EAT study (Eating and Activity in Teens), for example, showed that more family meals aligned with better dietary quality and healthier weights. When I was growing up the TV during meals was absolutely not going to happen – and we had a small family business that SOLD TVs and appliances! Looking back, I’m glad we had that rule. When the TV is on, maybe it’s a peaceful meal but it also means there’s not much talking and communication between family members. That’s sad, because family meals are about more than food and eating. They’re a great opportunity – a “vehicle” if you will – for social development and learning communication and interpersonal skills. And that opportunity comes every day. Indeed, a 2014 study found that family meals had a positive effect on the development of healthy social behaviors in 6- to11-year-olds. We shouldn’t waste this opportunity just to watch Wheel of Fortune. Even worse, in my book, is when people (kids AND adults) bring “technology” to the table. No. Disconnect, and make it a priority. A family dinner is only about 30 minutes, so make having conversation with each other as important as the food you’re serving. If you find you get pushback from adolescents about family meals, don’t just think of today. In the Harris Poll 4 in 10 adults said they wished they’d had more family meals growing up. I’m a nutritionist, so of course good, healthy meals are important to me, but they also are to many of the surveyed families, most of which said they’d made efforts to improve the quality of their family meals. Six out of 7 though, said that eating together was even more important than where the food comes from. Ten years from now, the kids might not remember what they ate for dinner, but they’ll remember that you ate it with them. Maybe you can get them to remember both – have a family meal you made with love. I’ve worked with children and families of all backgrounds for many years and I love what I do. Given that I’m a registered dietitian/nutritionist, there isn’t much that’s more important than feeding children well, right from the start. I always parents of infants to be patient about introducing solids. Many can’t wait to give them something with a spoon because seeing a baby eat and enjoy it is one of the joys of parenthood. But babies aren’t little adults, and introducing solids too soon isn’t a good idea. Even a baby born right on time still isn’t completely developed on the inside. That takes time, and you want to wait at least four months before introducing solid foods. Ideal is to wait six months, but that’s difficult for many parents. What food to introduce first? Usually you want an iron source, especially if babies have been breastfeeding or getting a formula that doesn’t contain iron. That often means fortifies cereal. That’s fine, but give it with a baby spoon, please, don’t put it into the bottle. Babies need practice learning to eat with a spoon and there’s no substitute for some patience and some practice. Nutrient richness: high in the nutrients they need for growth and development, moderate in calories, low in sugars. Texture and Consistency: If they can’t eat it, they won’t, not matter how good the food is. First foods should be smooth and soft, pureed, and mashed. This way they gradually learn to chew and swallow. Neutral flavors: keep it without added salt and sugar, so babies can learn pure tastes and avoid developing too much of a sweet tooth before they even have teeth of their own. This work was funded by the Haas Avocado Board and yes, avocados are a terrific first food, if not the only one. Babies have a higher need for fat and avocados are one of the few fruits with fat, and a healthy fat. They have a nice neutral flavor profile and also easily mashed, although parents usually prefer an adult preparation of avocados known as guacamole. I grew up in California – real avocado country, and I’m happy to encourage avocados as a first food – especially because there seems to be some good scientific justification for doing just that. Read more about this announcement here, and if you want to read about the research abstract, published in the journal Nutrients, here it is. For a number of years I was lucky to be involved in helping The Walt Disney Corporation formulate a global nutrition policy. Not only in their theme parks, but also for the products to which they lend their characters and that are sold in supermarkets around the world. This effort started in 2006 but was advanced even further in 2012 to include ground rules for the type of food advertising that child-oriented Disney media would accept. The 2012 initiative was announced with the support of First Lady Michelle Obama and outlined the changes that would be made in theme parks but also how it expanded Disney’s efforts to into other areas, such as the types of foods that could be advertised on child-centered Disney media and develop public service announcements that encouraged physical activity in children and healthy eating. One of the changes implemented in the Disney theme parks was the concept of healthier default options in the family-oriented “quick-serve” restaurants. Being interested in how this could change eating behavior in the theme parks, my colleague on the initiative, Dr. James O. Hill of the University of Colorado, Denver, and I, wanted to see how this impacted food choices, so we recommended to Disney that they consider the concept of healthier default beverages and side dishes for the bundled meals. I’ve always liked the idea of healthier defaults because it doesn’t remove anything from a consumer’s choices – it just gently leads them to a good place. If they want to keep the soda and the high-calorie fries, they need to ask for it. In most restaurants, it’s the other way around: the bundled meal comes with the fries and large soda as the default – if you want water or a sugar-free drink, you make the effort yourself to ask for it. Half of the time they accepted the healthier sides. 2/3 of the time they accepted the healthier drink. In the sit-down restaurants, it was a little less robust, with a little more than 2 in 5 consumers accepting the healthier sides and drinks. It’s not about 100% though and it never should be. That’s a horrible bar to set because it would never be met. People make changes gradually and these percentages are far better than before the healthier defaults were implemented. And remember these were family-friendly restaurants – kids were involved here, and these healthier defaults helped parents give their kids a better meal even though they were eating out. Imagine if we implemented these healthier default concepts everywhere? Again, we removed no options, just made the defaults better. That’s meeting families where they live – and where they like living. For new college students, “back to school” can mean a new school and a new living space as well, for those leaving home. That usually means getting accustomed to all sorts of changes: dorm room, a roommate, and all that dorm cafeteria food. I’m not a grandparent but I work with so many of them. Many are de-facto parents, either because they have full custody of their grandchildren, but others are the primary caregivers to their grandchildren because of working parents. They’re often the ones who not only prepare meals for their grandchildren, but who eat with them and spend lots of awake hours with them. They may be spending more time with their grandkids than the actual parents do, so they can have a real influence on a child’s attitude about food and their whole food experience growing up. And that’s why I want to meet with them. Grandparenting is serious business and read about my approach to counseling these “key influencers” in children’s lives about nutrition and the family dynamics around food and eating in The Doctor’s Tablet. Could Fasting Be Good for Healthy Adults — and Kids? 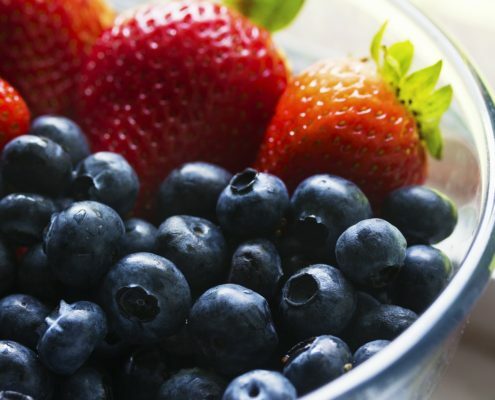 Every so often fasting – the conscious abstaining from all food or specific foods, sometimes for religious observance but sometimes for other reasons – like weight loss or “detoxing” has come back into vogue again. There’s actually some recent research that suggests it might have some limited benefits – in rats but in a recent human study, too. Fasting, even if it can be useful, for how long? How severe? Would I recommend it? What about kids? Read my take on this new research and my recommendations in my post in The Doctor’s Tablet. http://cuttothechasenutrition.com/wp-content/uploads/2016/10/logo10.png 0 0 Keith-Thomas Ayoob http://cuttothechasenutrition.com/wp-content/uploads/2016/10/logo10.png Keith-Thomas Ayoob2016-10-06 13:46:412016-11-06 18:30:54Could Fasting Be Good for Healthy Adults --- and Kids? Lots of people love the holidays and for many the holidays are filled with joy, happiness – and lots of good food that doesn’t come around at any other time of year. That last part is part of a lot of circumstances around the holidays that can produce that weight gain. Indeed, many people consider acquiring holiday pounds to be inevitable. It’s not inevitable, and some new research about how much weight people really gain may surprise you – and in a good way. Read about who is most at risk for holiday weight gain and how to manage holiday eating in my Huffington Post article here. The Academy of Nutrition and Dietetics always declares March as National Nutrition Month. This year’s theme is “Savor the Flavor of Eating Right”. I love this theme because people forget that eating a healthy diet isn’t just about nutrition. 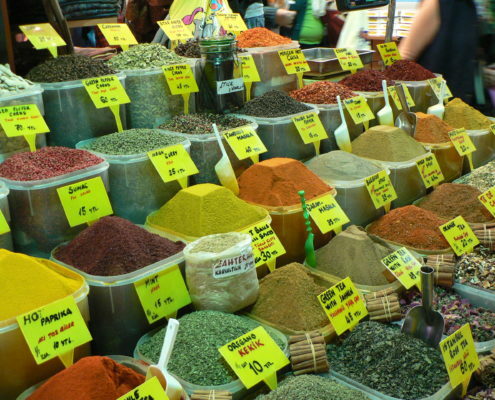 We need to get there in a flavorful way. And flavor is for kids, too, and having fun with flavor is one way I’ve found to motivate my patients to make great dietary changes that last. Read more about kids’ tastes and how to use flavor – and that can mean spices – to both improve their diets and make them happier about the foods they eat, in my Huffington Post article. 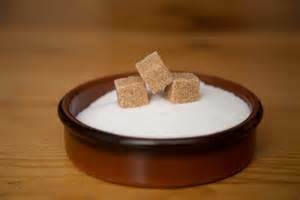 Sugar seems to be the new trans fat – it has really bad press. I’ll grant you, sugar isn’t angel food, but it isn’t devil’s food either. There are those who would prefer to regulate sugar as though it were tobacco or a drug. That gets great headlines but as a clinician, I’m a little more practical. Sugar isn’t a new food and we consumed it long before there was an obesity crisis. Indeed, we’re actually eating LESS of it than we did 15 years ago. I want my patients to understand food, not fear it. Read more of my take on the sugar shakedown in my guest editorial in US News.